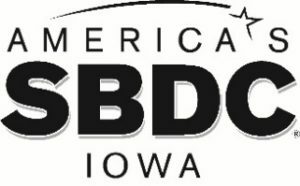 AMES, Iowa – America’s SBDC Iowa (SBDC) is pleased to announce its new tool to help small businesses evaluate their cyber security risk. IowaCyber.com allows small businesses to take a free assessment to help them understand their risk of a cyber threat. IowaCyber.com allows individuals to choose from three difference online assessments. These three assessments are Cyber Security 101, Cyber Security for Government Contractors, and Cyber Security for International Travel and Business. At the conclusion of each assessment, the individual receives a risk assessment report. After receiving the report, participants can find a variety of additional resources such as, webinars, best practices, and industry articles. The information on the website is targeted to small business owners and employees who are non-technical. Each of the assessments takes between 10 and 30 minutes to complete. Visit www.iowacyber.com to take the free assessments. “We are very excited to be able to offer this resource to Iowa small business owners. It is important for small business owners to be aware of the variety of cyber threats out there and learn ways to help reduce their risk of a cyber attack,” said Lisa Shimkat, State Director for America’s SBDC Iowa. In addition to the IowaCyber website, America’s SBDC Iowa has published a workbook for small businesses to learn more about cyber security helps lay out a plan for where to start on cyber security initiatives. Copies of the workbook are available for download at www.iowasbdc.org/cyber-security.